The Berrien County Health Department has honored former state Representative Al Pscholka with its Friend of Health Award. The department bestowed the award on Pscholka Wednesday at its headquarters in Benton Township. Pscholka said six years in Lansing have taught him the issues that really matter are the life and death ones. 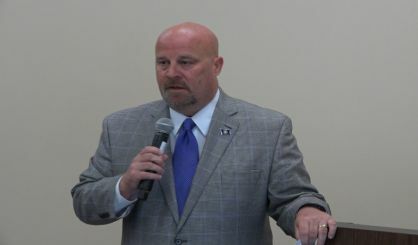 The health department praised Pscholka for his backing of a Good Samaritan law that encourages people to report drug overdoses by promising them immunity from prosecution. Pscholka said he’s heard many times from health officials and law enforcement the law has saved lives.